Icra estimated that as on September 30, 22 non-pithead power plants had less than seven days of coal stock left. Domestic coal supply remains significantly short of the domestic demand on the back of strong recovery in power demand and a healthy growth in production levels from non-regulated consuming sectors like cement, aluminium, and steel, rating agency Icra said on October 29. Lower generation of hydropower in the current fiscal is also increasing the coal demand, it said in its report. "The Coal India (CIL) has achieved a double-digit production growth of 10.6 percent during the first six months of the current fiscal. However, production ramp-ups are unable to keep pace with rising demand and the domestic coal supply remains significantly short of the domestic demand," it said. During the just concluded monsoon season, domestic coal production growth slowed down to 3.8 and 3.2 percent in September and August, respectively, against 10.6 percent in July and 13.2 percent in June, it said. This lead to coal stocks at power plants steadily deteriorating from a high of 21.1 million tonne (mt) in end-July to an estimated 15.8 mt in end-September, it added. 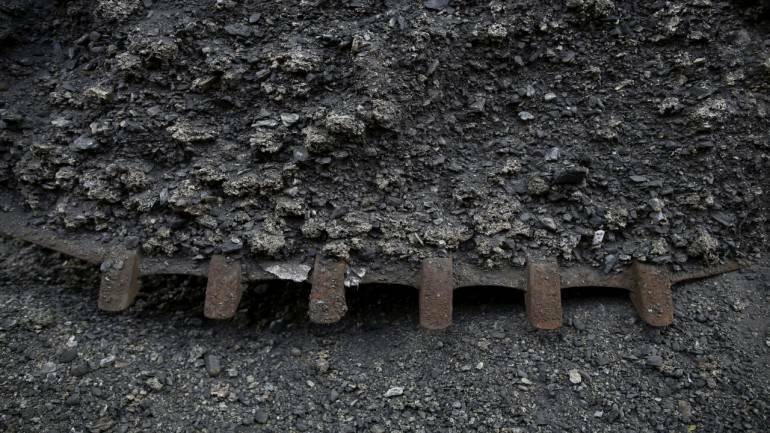 "With Coal India's pithead stock running critically low at around 18.4 mt as on September 30, against a much higher level of 55.5 mt as on March 31, the central miner's ability to stage a quick recovery in production levels after the monsoon would remain critical to close the gap between coal demand and supply," said Jayanta Roy, senior vice-president, Icra. On the back of coal stocks at many power plants remaining critical, despatches to the power sector has consequently taken a higher priority, the report said. It is growing at a stronger pace of 9.6 percent year-on-year during the first six months of FY19, compared with a YoY growth of just 2.8 percent in despatches to the non-regulated sectors during the same period, it added. Icra noted that the domestic coal shortage has led to rising thermal coal imports by end-users in the non-regulated sectors in the last one year, increasing from 75.1 mt in the first half of FY18, to 84.7 mt in the first half of FY19, and accounting for around 68 percent of the incremental thermal coal imports during this period. Roy said apart from rising import dependence, a steep increase of over 25 percent in seaborne thermal coal prices during the current fiscal thus far, a sharp depreciation of the rupee, and rising spot e-auction coal prices are estimated to have led to a 20-34 percent rise in coal costs between April 2018 and October 2018.